Below are some photographic highlights from Garnet Homecoming and Family Weekend (click on images to enlarge). 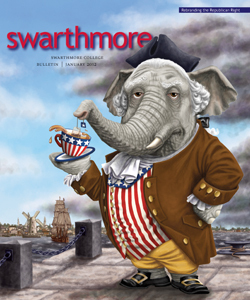 You can also watch video highlights of the weekend and of Surgeon General Anne Schuchat's McCabe lecture. 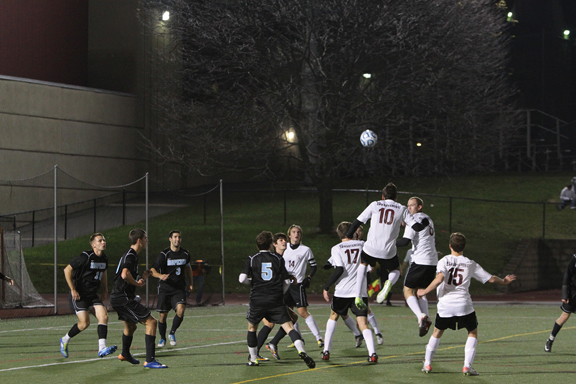 Cheers from an excited crowd echoed around the town on Saturday evening during the men’s soccer game, in which Johns Hopkins edged the Garnet, 2–1. 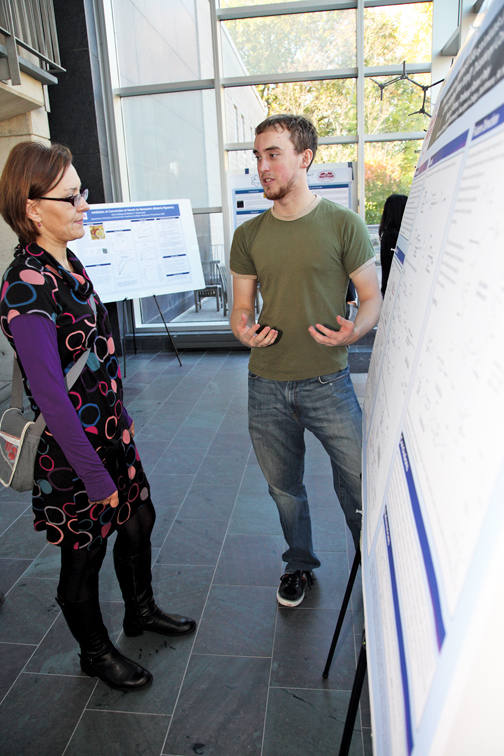 Chemistry major Neil Palmer ’12 was one of several science students who presented their summer research projects to enthusiastic visitors. 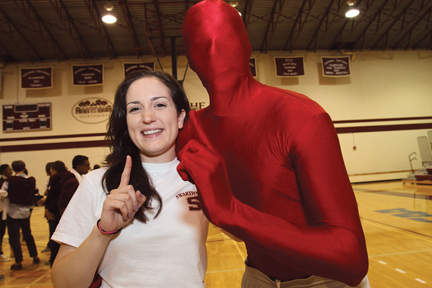 An evening pep rally drew a large crowd of athletics supporters, including the mysterious Garnet Man. 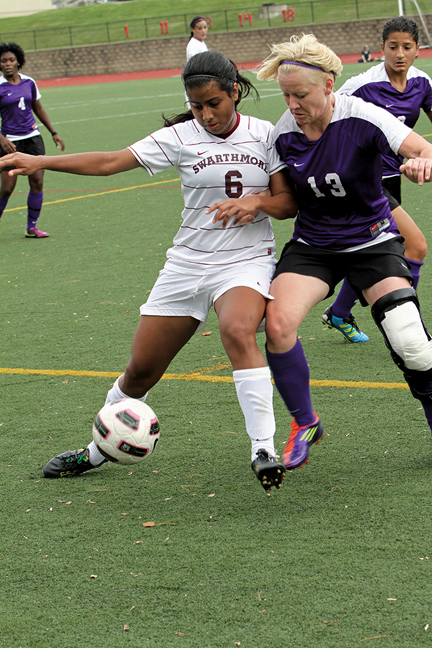 The Garnet women’s soccer team took on City College of New York ’s women for a 9–1 victory. 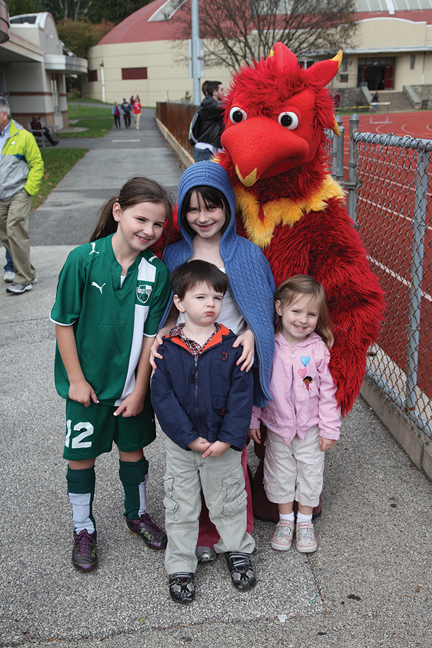 Young visitors hung out with Phineas Phoenix. 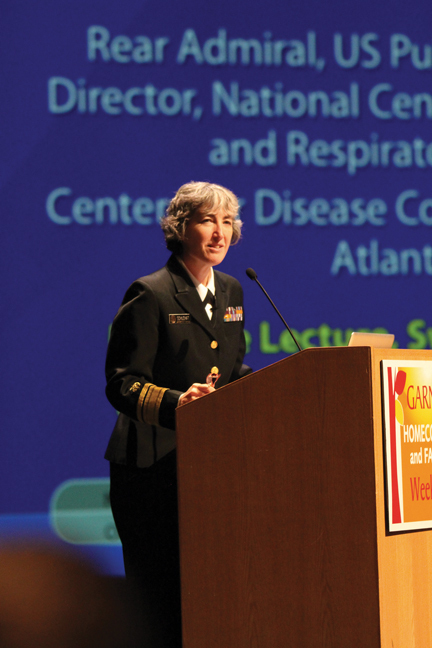 Assistant Surgeon General and McCabe Scholar Anne Schuchat ’80 delivered a riveting McCabe Lecture to a packed house, sharing her reflections on more than two decades at the Centers for Disease Control. 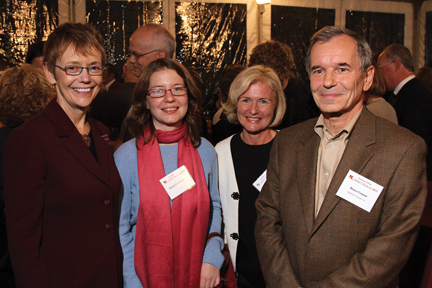 Quitterie Gounot ’13 and her parents Françoise and Denys Gounot chatted with President Rebecca Chopp at the 1864 Society reception. 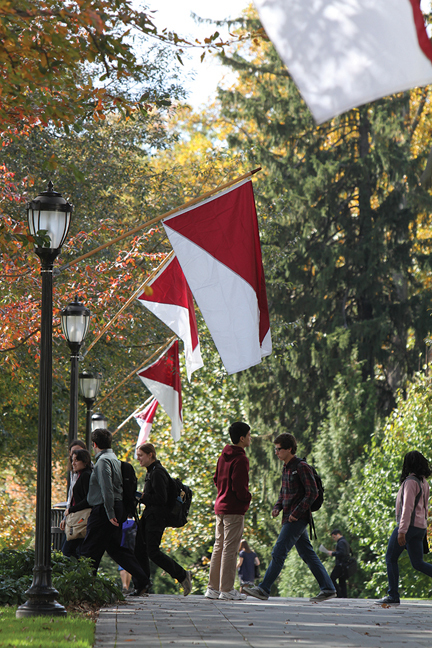 Beneath splendid fall foliage, friends caught up with each other, parents enjoyed their children, and new friendships were forged.